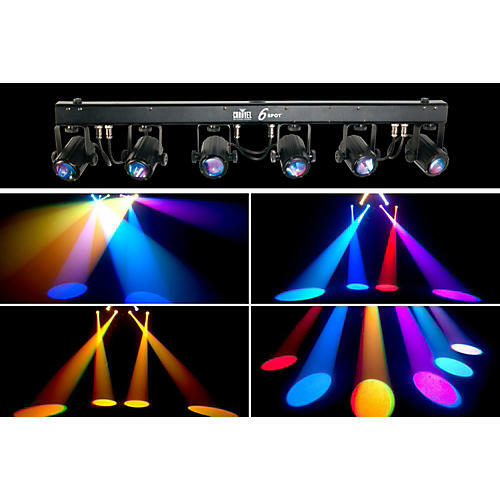 Complete, portable LED spotlighting solution with high-intensity, tri-color LEDs. Chauvet's 6SPOT is an LED powered, color-changer system complete with its own travel bag. Six individually controllable and positionable heads each contain a high-power tri-color LED that creates 7 popular colors. The unit can be controlled via DMX or by running automatic or sound-activated programs. The fixture easily slides onto most standard tripod stands or can be mounted onto truss. Put this system on your 6. Order today!